Now, the crow was very proud. 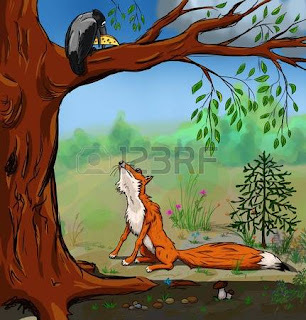 He wanted to show the fox that he could sing very well so he opened his mouth to sing and lo! The piece of cheese he was eating fell to the ground. 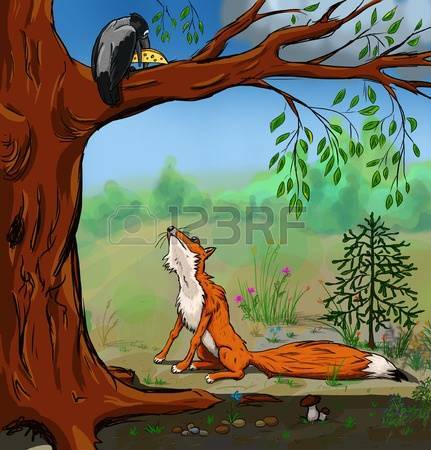 The fox laughed at the crow and picked up the cheese and ate it hungrily. Too late the crow realised that one should not be vain.